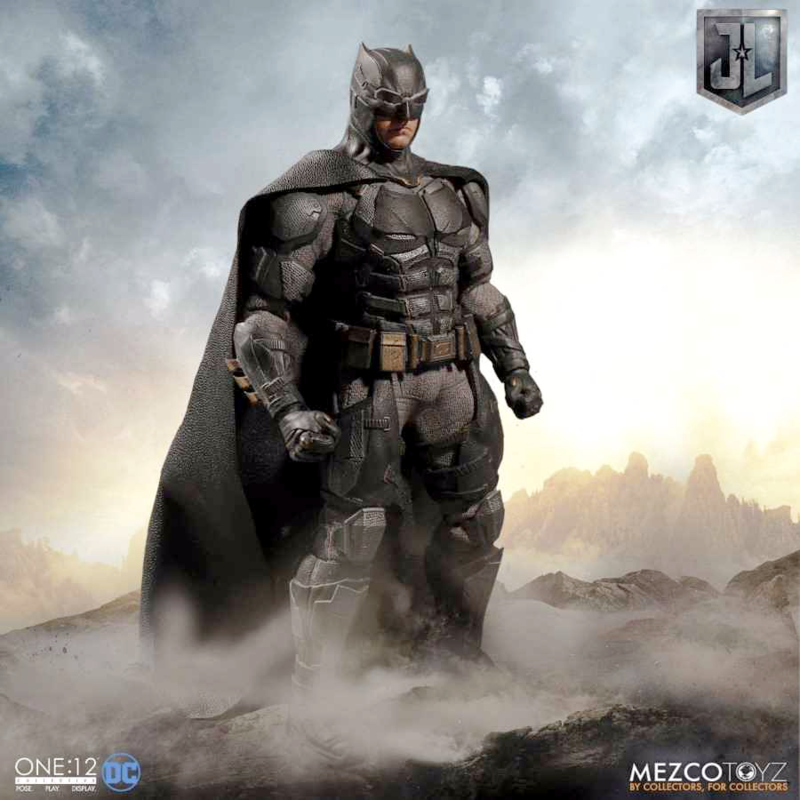 Mezco Toyz introduces the One 12: Collective Tactical Suit Batman based on the caped crusader from the blockbuster film Justice League. 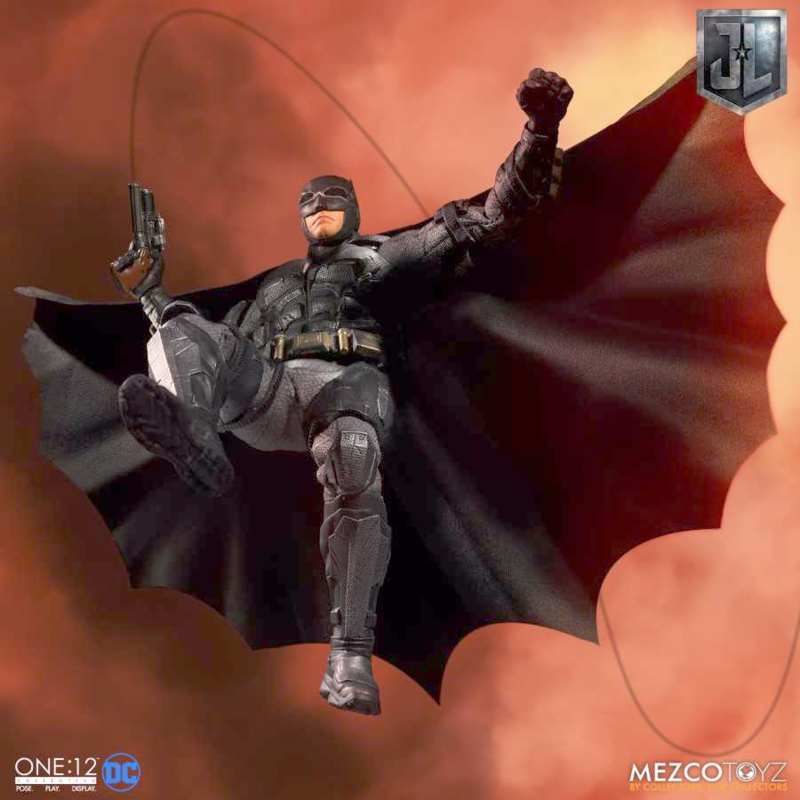 Mezco Toyz introduces the One 12: Collective Tactical Suit Batman based on his appearance in the DC Comics Justice League film. 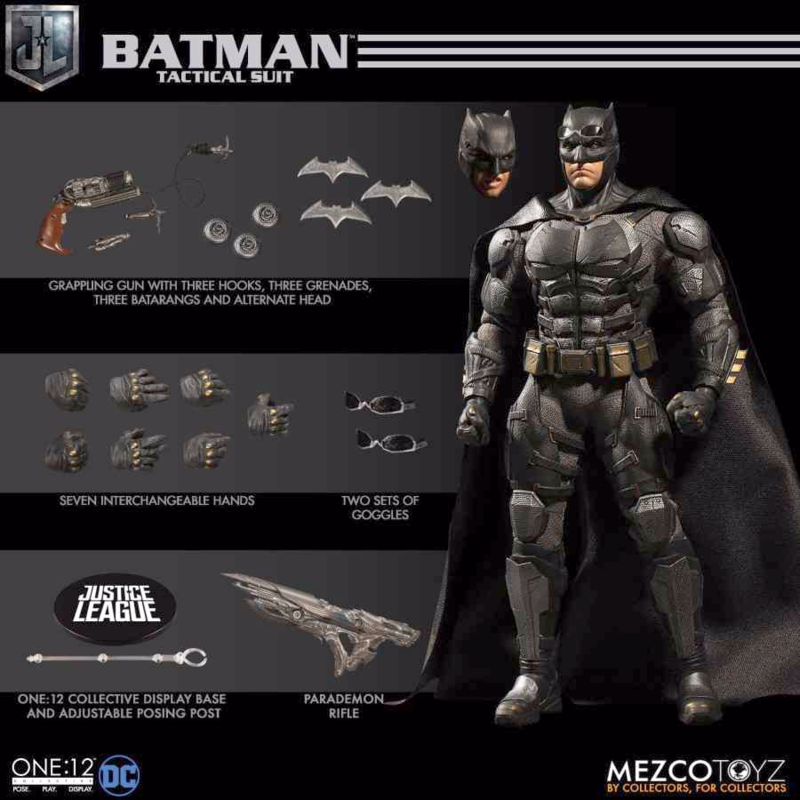 This One:12 Collective Tactical Suit Batman has two head portraits and a newly designed, film-accurate tactical suit plus he comes equipped with 2 pairs of goggles for display in up or down positions, a Parademon rifle, a trio of Batarangs, three grenades, a grappling gun with three assorted hooks and lastly there is a display base with logo and adjustable display post along with a cape clip with posing wires for dramatic displays. 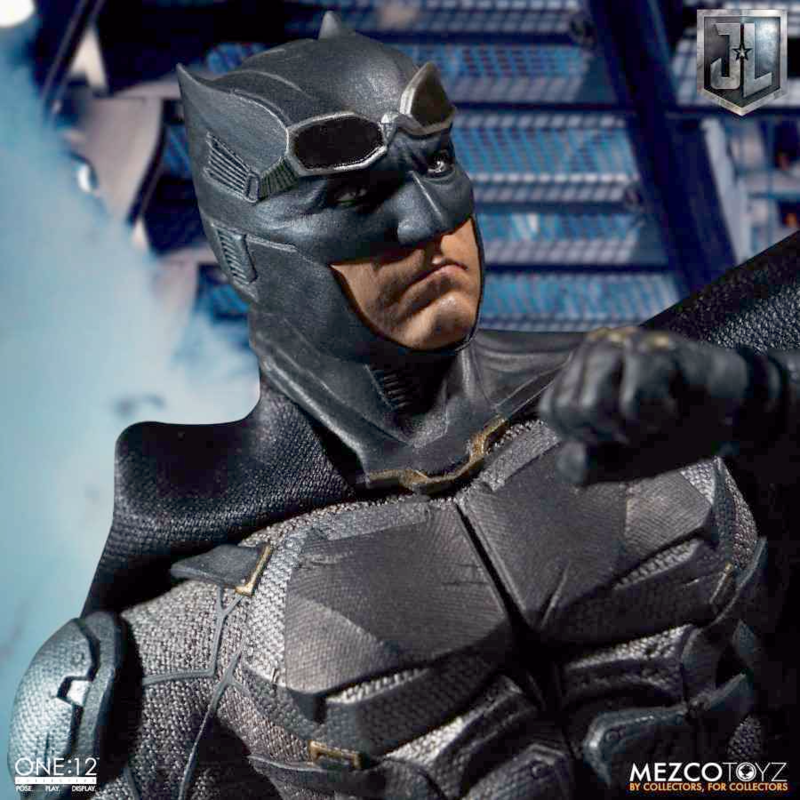 Batman and Wonder Woman work quickly together to recruit a team known as the Justice League, to stand against this newly awakened enemy. 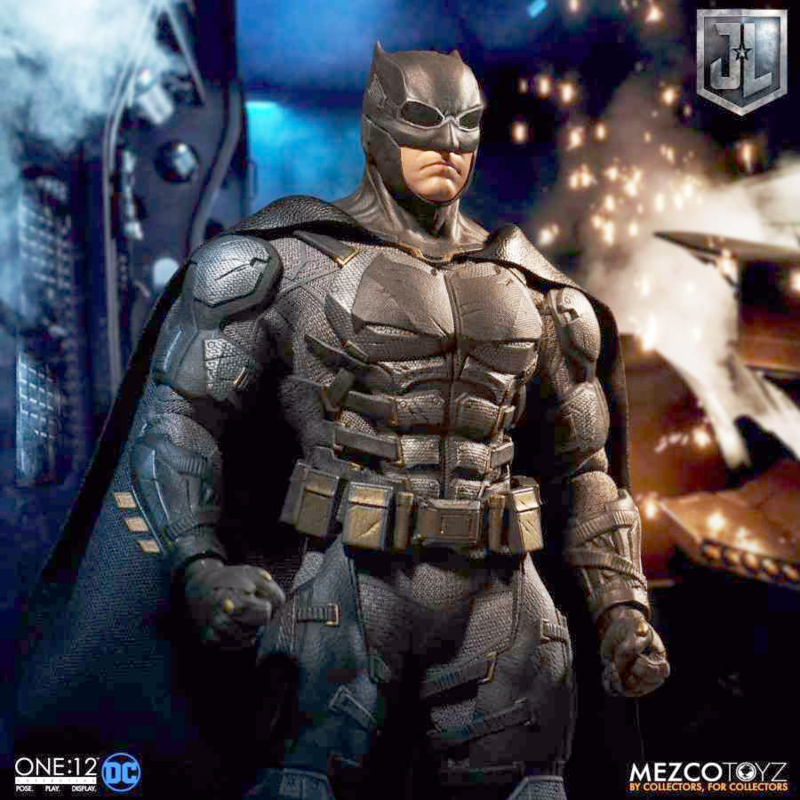 Revealed for the first time in Justice League, the figure showcases the never-before-seen Tactical Bat suit with visible upgrades and it was created to handle combat situations with super powered adversaries, like the immortal Steppenwolf. Comes packaged in a deluxe, collector friendly box, which is designed for collector convenience to allow for both maximum protection as well as ease of removal for display.